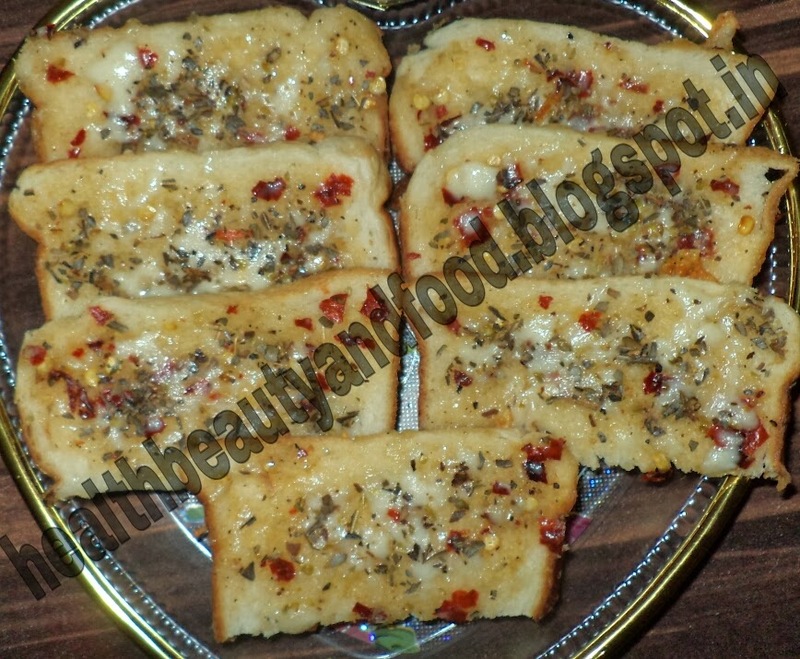 Cheesy garlic bread recipe flavored with red chilly flakes, oregano and black pepper. Pair it with pizzas or soup or have it all alone. Blend red chillies and garlic together without water. Take butter in a bowl and add ground garlic and red chillies, salt and pepper and mix. Spread this mixture on bread slices. Sprinkle grated cheese and oregano on the top and toast it on a non-stick frying pan it it becomes crisp and brown. Serve with soups, pizzas or just have it with ketchup. One can use red chilli flakes also instead of dry red chillies. Use any cheese of your choice or avoid cheese to make plain garlic breads. One can even avoid butter and use only cheese instead of butter.